We recently curated The SAM Awards entire event entertainment, for the second year in a row. The event put on to celebrate and honour Calgary’s top home builders. The Canadian Home Builders’ Association (CHBA) puts on the event every year to recognize innovation, service excellence and achievements. 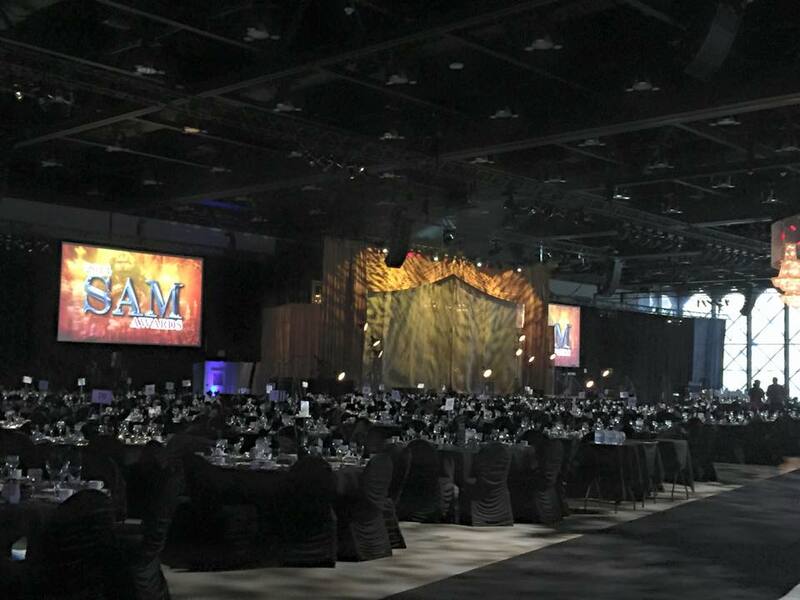 The SAM Awards Gala was held Saturday, April 18, 2015 at the Telus Convention Centre with approximately 1,600 people in attendance. It’s an evening to celebrate excellence. The night’s entertainment needed to be on point, from top to bottom. Stage design was a very important element for this event. When you have awards being given out those recipients need to easily access the stage and have the opportunity for photos. We customized the dance and live music around ensuring award recipients their moment. We’ve received much praise for this event and we look forward to the 2016 SAM Awards.